Stun gun or taser, hand-held electronic device that produces a high-voltage pulse that can immobilize a person for several minutes with no permanent damage in most cases. It is powered by ordinary batteries, which supply power to a circuit containing transformers, oscillators, capacitors, and electrodes. The transformers increase the voltage in the circuit to between 20,000 and 10,0000,000 Volts and reduce the current proportionally. The oscillators fluctuate the current to produce a specific pulse frequency, and thecurrent charges the capacitors. Pressing the electrodes to a person's body releases high-voltage electricalenergy at a frequency pattern designed to interfere with the neurological impulses that travel through the human body to control voluntary muscle movement. The use of stun guns has been associated with death in some cases, typically when the person gun was used on has taken drugs or has a pre-existing heart condition. The degree to which the stun gun may have contributed to the deaths is unclear. The higher the voltage is, the more powerful the electric shock will be. It will also affect how fast the attacker will be immobilized. The higher the voltage, the less time you have to contact the assailant to immobilize them. For example, The 2,500,000 volts ( two point five million volt) cheetah model will need a direct contact of about 2 seconds to keep an attacker away. An electroshock weapon Taser, a real weapon that temporarily disables a person with electric shock: with some forms by contact or at a distance. An electroshock weapon is an incapacitant weapon used for subduing a person by administering electric shock aimed at disrupting superficial muscle functions. One type is a conductive energy device (CED), which fires projectiles that administer the shock through a thin, flexible wire. Other electroshock weapons such as stun guns, stun batons, and electroshock belts administer an electric shock by direct contact. 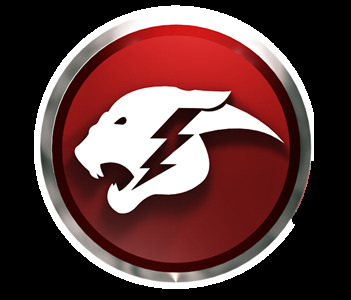 Electroshock weapon taser technology such as Cheetah Stun Gun Rechargeable uses a temporary high-voltage low-current electrical discharge to override the body's muscle-triggering mechanisms. The recipient is immobilized via two metal probes connected via metal wires to the electroshock device. The recipient feels pain, and can be momentarily paralyzed while an electric current is being applied. It is reported that applying electroshock devices to more sensitive parts of the body is even more painful. The Maximum Effective Areas for stun gun usage are upper shoulder, below the rib cage, and the upper hip. The relatively low electric current must be pushed by high voltage to overcome the electrical resistance of the human body. The resulting 'shock' is caused by muscles twitching uncontrollably, appearing as muscle spasms. Experts generally agree that the 'margin' of safety in this case is highly dependent on the overall health of the person subjected to the shock. The higher the voltage, the more adverse it is. The internal circuits of most electroshock weapons are fairly simple, based on either an oscillator, resonant circuit, and step-up transformer or a diode-capacitor voltage multiplier to achieve the continuous, direct, or alternating high-voltage discharge. It may be powered by one or more batteries depending on manufacturer and model. The output voltages without external "load" (which would be the target's body) are claimed to be in the range of 50 kV up to 1000 kV, with the most common being in the 200 to 300 kV range. However, since air has a dielectric breakdown (Emax) of 3000 kV/m, it is clear that the spacing of the electrodes will not permit the upper range of claimed voltages (900 kV representing a minimum electrode spacing of about 30 cm). The output current upon contact with the target will depend on various factors such as target's resistance, skin type, moisture, bodily salinity, clothing, the electroshock weapon's internal circuitry, and battery conditions. According to the many sources, a shock of a half-second duration will cause intense pain and muscle contractions, startling most people greatly. Two to three seconds will often cause the subject to become dazed and drop to the ground, and over three seconds will usually completely disorient and drop an attacker for at least several seconds. On th e old "Star Trek" series, Captain Kirk and his crew never left the ship without their trusty phasers. One of the cooles t things about these weapons was the "stun" setting. Unless things were completely out of control (as they frequently were), the Enterprise crew always stunned their adversaries, rendering them temporarily unconscious, rather than killing them. There are a wide range of stunguns weapons in use today. The three most popular devices, the standard handheld stun gun, the Taser gun and the liquid stun gun, all have advantages and disadvantages.